2 types of flowery mugs in fine bone China. 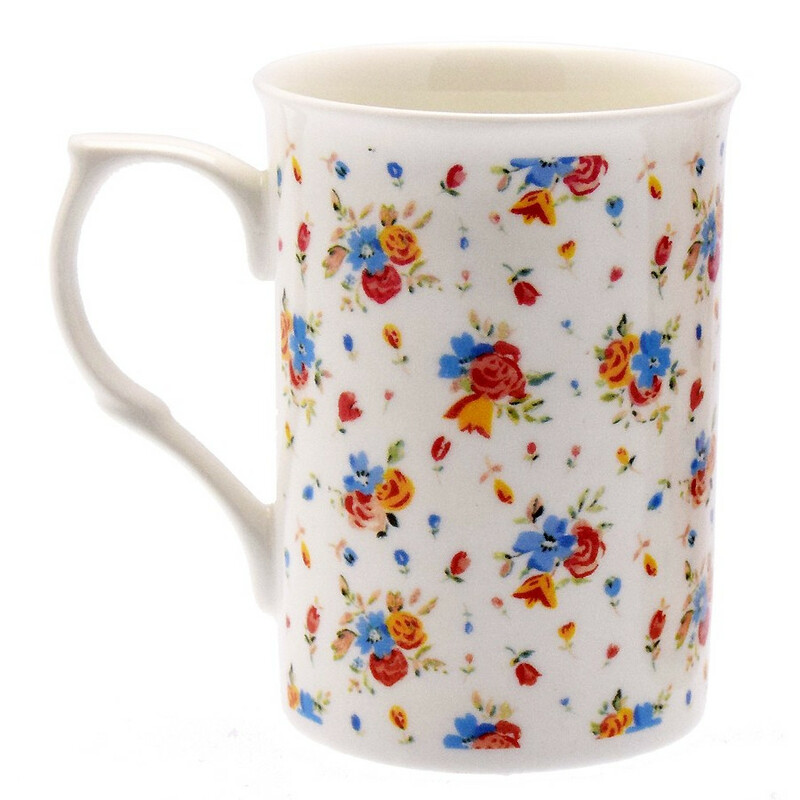 Pretty set of flowery mugs with nicely shaped handles. 1. Small flowers with touches of pink, blue and yellow. 2. Big flowers with touches of pink, blue and yellow.